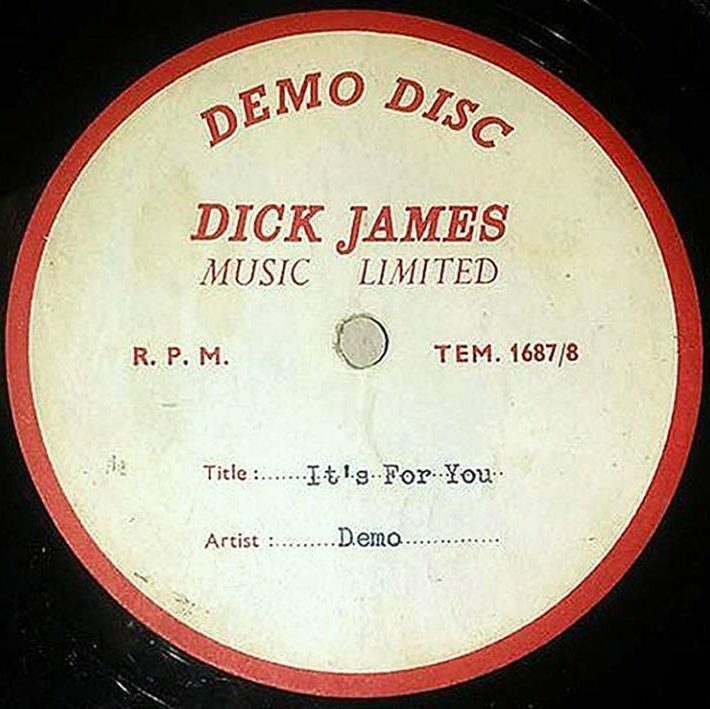 After 52 years, one more Beatles mystery has been solved.The original acetate demo of It’s For You, with Paul McCartney on vocals, has been discovered by the late Cilla Black’s relative. Lennon and McCartney wrote the song for their close friend Black, who released it to much success with It’s For You eventually peaking at a #7 chart position. Once Paul had tracked his own version of the song, which was much more like “a waltz” than the arrangement that Black ended up recording, the demo was delivered to London’s The Palladium in 1964, where Black was performing at the time. Then, for reasons unknown, it vanished and has long been thought lost or destroyed.